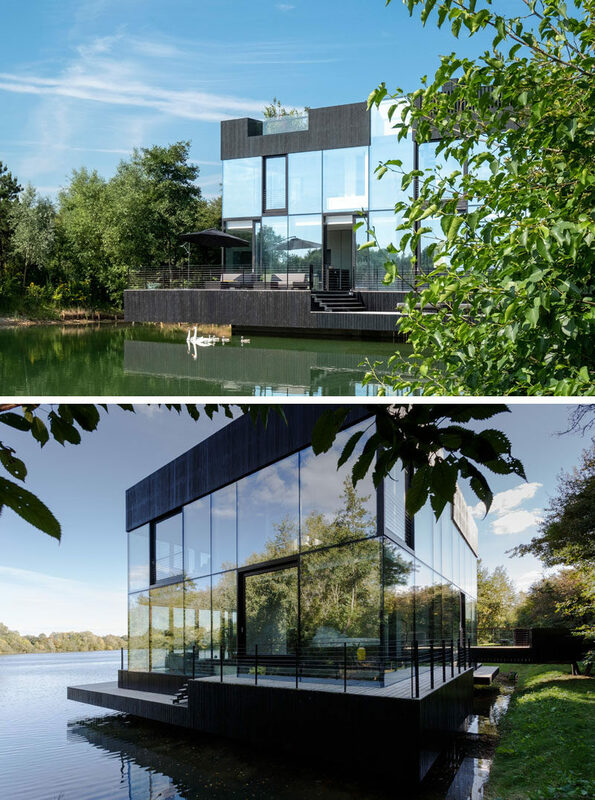 Mecanoo architecten have designed a modern house that sits on a lake in Lechlade, England, and features walls of glass, enabling expansive views from the home’s interior. The house has a small bridge connecting it to the land, while a deck wraps around, creating outdoor space overlooking the water. Inside, there’s a living room with a fireplace and a floor-to-ceiling bookshelf. 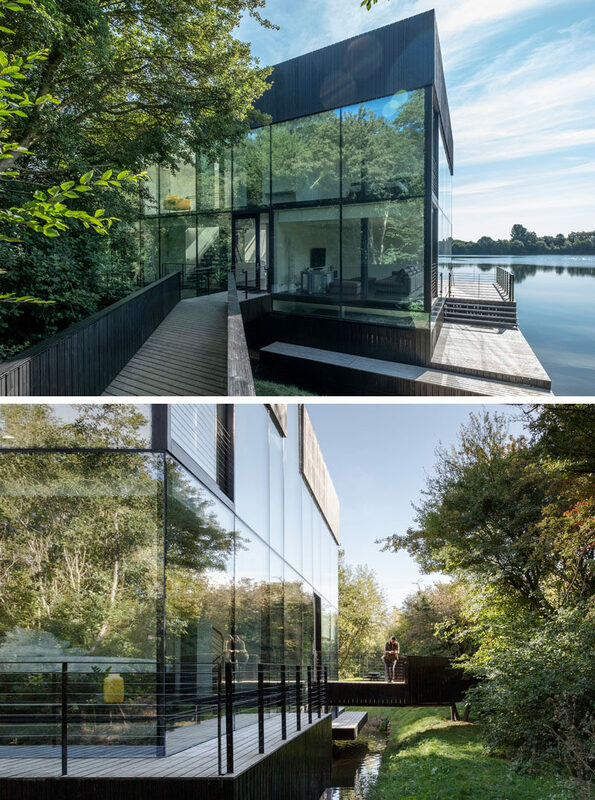 Glass corner windows, like in the kitchen, give the feeling of living on the water, and large trees nearby provide privacy for the occupants. A staircase connects all the rooms together into one interior space, and a central atrium brings abundant daylight into the sunken basement and connects the interior to the roof terrace. Photography by mariashot.photo | Development: Boheme Development S.L. 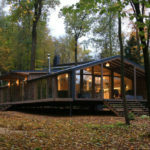 | Concept design: Mecanoo architecten | Developed architectural design: Arquitectura y Ordenación Urbana S.L. AOU SL | Structural engineer: Fernando Sarria | Engineering: INARQ S.L.